Having a pool in your backyard gives you another fun way to spend time with your family and friends. Whether you’re sitting with your spouse or hanging out with the whole family, backyard pools are fun for everyone. You can reduce the number of vacations you take, keep your family close by, and give your family an oasis of fun and relaxation right in your backyard. Relatives and neighbours will love you for having a pool in the summertime, giving you an excuse to invite the neighbourhood over for a swim. From easy weeknights with your friends to rambunctious birthday parties for the kids, backyard pools are a great way to entertain. Save for a bit of pool maintenance every few weeks, backyard pools are a mostly hands-off investment that requires little work to enjoy its benefits. The ease of use and convenience makes them ideal for stress relief and relaxation. A dip in the pool is a great way to let off some steam after a long day, and perfect for winding down from a workout. There’s really nothing like a nice cool swim on a hot summer day. As temperatures begin to rise, backyard pools offer an escape from the heat and a fun way to spend a summer day. Using your pool as a way to cool off can save you money on air conditioning and gives you an excuse to hang out in the sun. While pools can be expensive upfront, they’re more affordable than you think. Many companies allow you to finance your pool, and you can cut down monthly costs by investing in professional pool maintenance. When it comes time to look for a new property, a backyard pool can increase the value of your home by up to 15% to 20%! Swimming pools are one of the best ways to stay in shape, and they provide a safe way to exercise for people of all ages. Whether you’re doing laps, treading water, trying out water aerobics, or just enjoying the outdoors, swimming pools are very beneficial to your health. Swimming is a great form of cardiovascular exercise, and it provides a full body workout with a low risk of injury. Take the time to consider a backyard pool for your home! For all your backyard pool maintenance needs, Total Pro Pools has you covered. 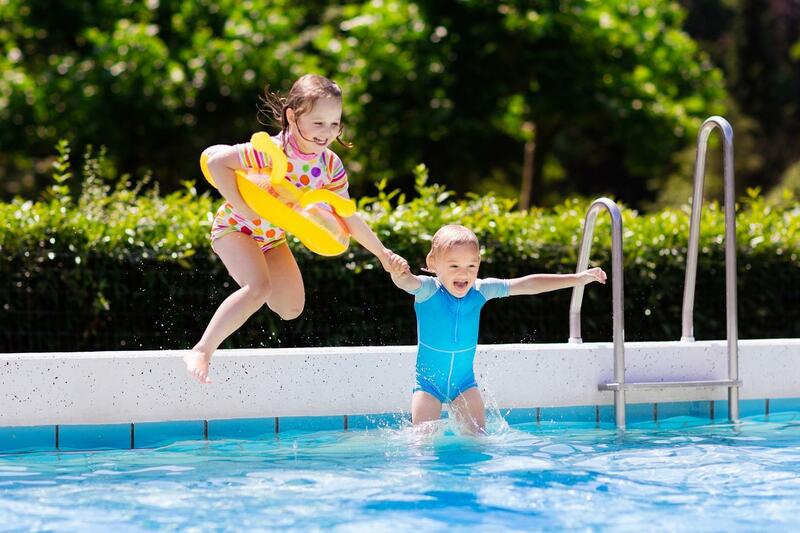 Our team of experienced professionals can help you decide on a setup that works for you, and keep your backyard swimming pool lasting for years.